A special kind of wisdom has been passed down through the centuries, generation to generation, for one exalted end -- the education of the soul. Thus have willing seekers always been given the means to fulfill the true and higher purpose of their lives. 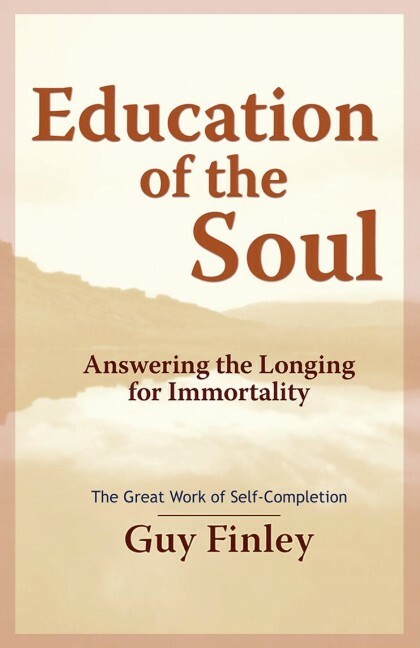 The specially selected talks in Guy Finley's audio program, Education of the Soul, integrate key principles from eastern and western traditions, bringing them to life by shining new light on their hidden meaning. This comprehensive spiritual course will teach you secrets of how to dive deep into yourself and discover higher love, a quiet mind, true confidence, and deep wisdom. Master the information in this powerful series of talks, and there's no doubt about it -- your life will change -- now and forever. With a resource like this, you don't have to travel to India or Tibet to find powerful spiritual wisdom. This massive album illuminates the key principles of the inner quest. Overflowing with practical techniques and inspiring stories, it's a step-by-step guide to discovering the authentic spiritual path. This unique collection of wisdom can be understood at many levels, making it suitable for both beginners and long-time seekers. And it will bring rewards for years to come, because with each listening, a deeper layer of meaning is revealed. That's why Education of the Soul makes such a great gift for yourself or anyone you know who truly wants to break through to a new life filled with meaning, power, and authentic love. No matter where you are in the spiritual journey, the talks on this album will help raise your life to the next level! Life is going according to God's plan only if you are. No animal hides in shame for being itself. No tree bends to the opinion of others. No wind avoids the granite face before it. Only human beings cultivate ways in which to fawn or cower before one another, and all for the sake of winning nothing but a fleeting feeling that for their cunning they have made it through one more day. The love of the Living Light is its own reward, for whoever willingly embraces its Spirit holds in his or her heart the inexhaustible supply and Source of Life itself. Part I: What makes someone a master is not that he or she possesses some unattainable skill, but that these individuals have first realized the existence of, and then made contact with, a world above them that wants to pour its more perfected understanding into their own. Part II: We are only truly complete, in the real meaning of the word, when we are in communication with the world above us and conscious, for its presence in us, of a tender outflow of which we are the intended vessel. Life only feels like a neverending struggle to us because we continue meeting it head on with our ever-present insistence that it give us what we want, when we want it. In this way, most of the good gifts of life are missed because not only are we always looking in the wrong direction, but we are sure we know what to look for! Talk 7: See Through the Lie Called ""Loneliness""
You cannot insulate yourself from life without isolating yourself in the fearful world of those uncertain thoughts and feelings that would convince you it is far better to protect yourself from the unknown than to let go and find freedom within it. Freedom from self-wrecking behavior must begin with our recognition that we are voluntarily serving that which compromises us, even though we may strongly claim the contrary is true. Such a conscious awareness of (this) conflict inherent in our own divided mind may be difficult to endure, but only if we fail to realize this last point: This conscious awareness (and it alone) is the seed of a new action that eventually flowers in a self-wholeness that is one and the same with true self-freedom. No one who drinks from the Cup of Truth shall perish; for Truth is the Light, and the Light is forever -- having no beginning or end. Part I: Until we realize the impossibility of finding permanent happiness in impermanent thoughts and feelings, the only thing that will ever change about our lives are those things that we sit and wish hadn't changed. Part II: Much as the waters of a river run through a valley, helping to turn native fertile earth into tillable soils capable of high productivity, so do invisible streams of spiritual currents course through the soul, intended to transform her dark potential into the Light of her purpose fulfilled. Not for the hope of eternity, or in claiming that one loves the Light -- for all gladly profess this affection merely for the pleasure of the thought -- but it is our awareness of the eternal kingdom, and in surrendering ourselves to its immutable laws that we gain entrance to our own immortal spirit. Real spiritual poverty, and the wealth of Real Life it fosters in the soul, is a subtle interior state born of the humility in seeing this one fact about ourselves: In our unregenerated state we live from a conditioned and comparative mind whose infinite desires confine the self to live in a closed circle of infinite wants. Part I: Contrary to popular psychotic belief, God did not create us to look upon His Life as a wish fulfillment center. Instead we are created to live in the awareness that God's life is the center of our being, and that to realize this relationship answers all of our wishes because Love itself has then become our life. Part II: Learning to be grateful for the lessons hard learned is the secret and greater lesson hidden within all moments of the soul's education. The surface of anything is always the first to erode, be it paint on a house or some pleasure from a meal. The shallowness of self is inherent in the temporary forces that create it, so that its degradation is built into its very structure. Only the Essential -- hidden deep within us -- may escape the relentless wear and tear of life, and develop beyond being destroyed. Within every soul, a seed, in every seed, the soul of a life created to be whole.